Following the series about best brands for triathlon, we introduce sport #2: Cycling. This is probably the most expensive sport to practice as a triathlon amateur and brands are working hard to offer high quality fabrics, components, materials, but also experiences. Bikes are men´s main diamonds (at a high-end level, prices are around $10.000 per bike, plus extras) and in this article you will find some of the best cycling brands and bikes. As luxury fashion brands, cycling brands are offering a “made in”, craftsmanship, customization, innovation… It´s science and art, like retail and fashion. HED is a manufacturer of premium quality bicycle wheels and components. Based in Roseville, MN. HED prides itself on being US-operated, and with most manufacturing and assembling done in their own US factory. Kask born in 2004 and based in Italy, specializes in developing, designing, and manufacturing safety helmets from the highest quality. KASK has been awarded with prizes like ISPO and Eurobike. Colnago Colnago Ernesto & C. S.r.l. or Colnago is a manufacturer of high-end road-racing bicycles founded by Ernesto Colnago near Milano, in Cambiago, Italy. The company first became known for high quality steel framed bicycles suitable for the demanding environment of professional racing, and later as one of the more creative cycling manufacturers responsible for innovations in design and experimentation with new and diverse materials including carbon fiber, now a mainstay of modern bicycle construction. Cannondale Founded in a loft above a pickle factory by Joe Montgomery and crew, Cannondale started as an outdoor gear company. The name came from the Cannondale train station across the road. Today, the Cannondale Bicycle Corporation is an American division of Canadian conglomerate Dorel Industries that supplies bicycles. It is headquartered in Wilton, Connecticut with manufacturing and assembly facilities in China and Taichung, Taiwan. Canyon Canyon Bicycles GmbH is a German manufacturer of racing bikes, mountain bikes and triathlon bikes based in Koblenz, Germany. Canyon adopted a direct sales strategy via the Internet. No retail and middlemen means better margins for the company but also for customers. The brand’s promise is to offer the best value for money bike in the market. In the area of road racing the company has been in cooperation with various teams. In 2007 the company first equipped the team Unibet.com, which took part in the UCI ProTour. Currently, Katusha and Movistar compete on Canyon racing bikes. Canyon´s main ambassador is Jan Frodeno, a legend of triathlons, 2-time winner of the Ironman World Championship in 2015 and 2016. Basso Perfectionism, quality and handmade excellence, is the philosophy that Alcide Basso has imposed to itself since 1977, the year Cicli Basso was founded in Treviso, Italy. The principles that define the brand remain unchanged: Excellent craftsmanship, innovative design, functionality, and top quality materials. BMC was born in Switzerland in 1994 and raised surrounded by the watch-making industry of Grenchen in Canton Solothurn. The relationship to performance cycling began when BMC began supplying the Swiss professional road racing team Phonak Cycling. Precision engineering and an innovative approach to research and development are at the core of BMC and no other cycling manufacturer has so many tools at its disposal under one roof. De Rosa is the family brand of Ugo De Rosa. De Rosa’s company became renowned during the late 1960s and 1970s for manufacturing road racing bicycles. From a small workshop in Milan, to one of the most well renowned bike manufacturers in the world, De Rosa has supplied bikes of outstanding quality from entry level riders to some of the world’s best road racers. Quintana Roo was the first company to create a triathlon-specific wetsuit over 25 years ago, and then a tri-specific bicycle two years later. The company was founded in 1987 by Dan Empfield of Ironman fame and is currently owned by the American Bicycle Group. For over 30 years, Quintana Roo has defined multisport performance. From the very first triathlon specific bicycle to the freshest new color of PRsix Disc – they’ve consistently created products that are designed by triathletes for triathletes. Specialized is a United States-based company (California) founded in 1974 that designs, manufactures and markets bicycles, bicycle components and related products. Specialized sponsors Gomez Noya, the spanish triathlete 3 times winner of the ITU Triathlon World Cup. Passoni is a small custom frame building company based just outside Milan, Italy. Luciano Passoni started building frames in 1989 incorporating bike fitting and bio-mechanics from the beginning as he realised that his ambition to build bicycle frames started with a bike fit. This is a company that only builds two frames a day from highest-quality titanium and stainless steel. It takes three days to polish a titanium frame to achieve the renowned smooth welds of a Passoni. A truly artisan ride (from cyclefit.co.uk). Cipollini After a storied career, Mario Cipollini was animated in particular with the wish to develop tools to be able to transfer to the ground all power of the athlete: instruments capable of opening up a new era, to enhance the amateur as the professional. Since 2009, Cipollini creates bikes with a high technological value and fine craftmanship. The production process is conducted by technicians and craftsmen of proven ability, among the best in Italy. The heart of the production is in Verona, and the supply chain – headed entirely by Cipollini bike – is located between Padua, Florence and Pisa. Bianchi Founded in 1885 by Edoardo Bianchi, F.I.V. Edoardo Bianchi Spa is part of Cycleurope AB Group – Swedish company of the Grimaldi Industri AB – known as one of the worldwide most important holding in the cycling sector. Bianchi, with its historical Italian brand, is a performance bicycle company characterized by product driven technology, Italian design and global market. Bianchi believes the frame is the heart of the bicycle and it is constantly investing in material technology with the aim to produce the best bikes in the world. Bianchi offers to the market a complete range of models for Road, MTB, City-Fitness, e-Bikes and accessories to meet the needs of all cyclists. All frames are designed and developed inside the Bianchi headquarter in Treviglio (Bergamo, Italy), same as all graphics and colors combinations. Orbea is a bicycle manufacturer founded in Eibar, Basque Country (Spain). It began in 1840 as a rifle and gun producer and began making bicycles in the 1930s. It is part of the Mondragón Cooperative Corporation and Spain’s largest bicycle manufacturer. Orbea designs and builds bicycles, with some of the higher-cost bikes being made in Portugal but all the others made at the Orbea factory in Mallavia. With a family of bicycles designed to suit every rider, Orbea offers a bike for every step of the ride, from full suspension Enduro mountain bikes to featherweight Grand Tour racing steeds. Ventum was founded in 2014 by a team of athlete-engineers and entrepreneurs and is based in Miami Beach, Florida. 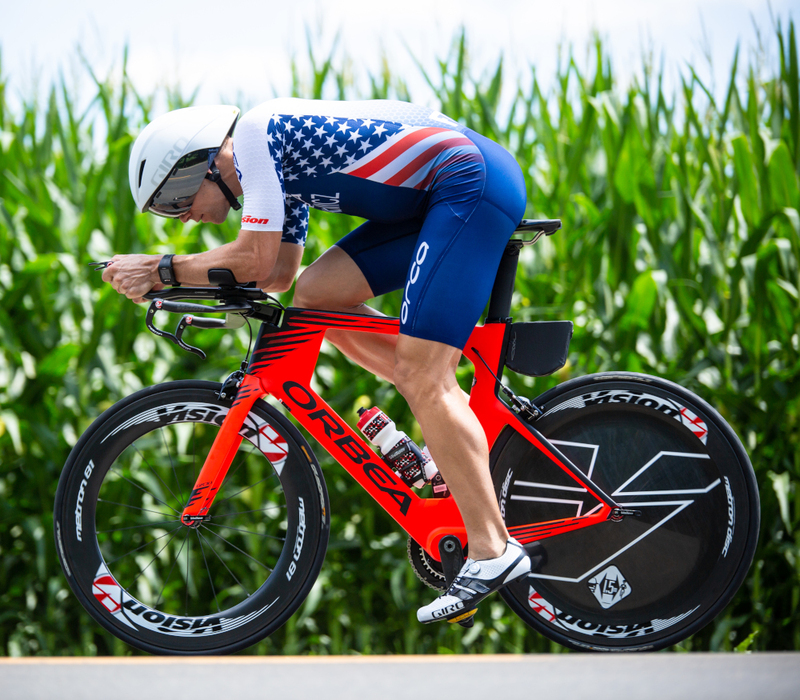 It leverages technology from fighter jets and Formula One racing to create bicycles that are more aerodynamic and ergonomic, ideal for triathletes competing in non-draft-legal races, such as IRONMAN and Challenge events. Ventum is the Official Global Bike Partner of IRONMAN®. Cervélo is a manufacturer of racing and track bicycles founded in Toronto (Canada) in 1995. Cervélo uses CAD, computational fluid dynamics, and wind tunnel testing at a variety of facilities including the San Diego Air and Space Technology Center, in California, US, to aid its designs. As an industry leader in high-performance road, time-trial and triathlon bicycles — and with the launch of the C Series, in the endurance category, too — Cervélo takes an engineering-driven approach to performance: Define and measure, build, then test and refine.